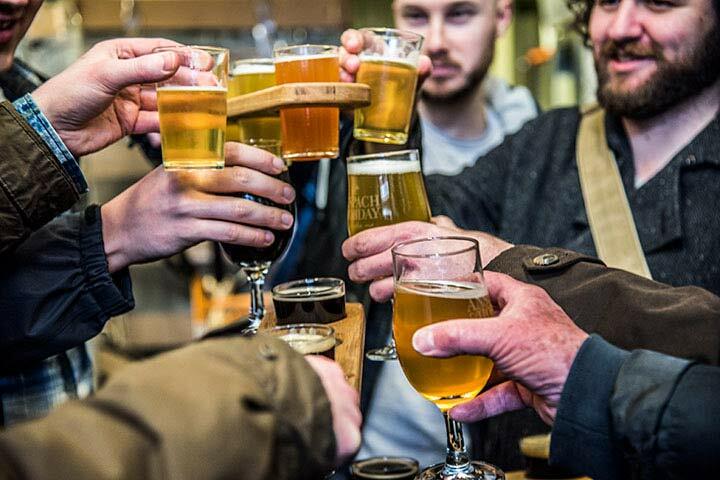 Enjoy walking tours around some of the UK’s most famous craft beer breweries and sample a range of the finest craft beers. 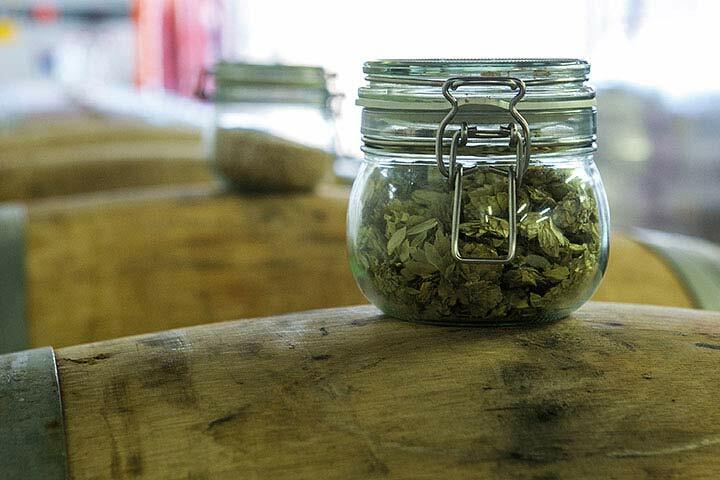 With a choice of over 11 tours in 6 cities, why not board the HMS Hops for an afternoon boat trip and tutored tasting of local beers around Bristol. Or choose the Bermondsey cheese, meat and beer tour to sample a selection of beers accompanied with meat and cheese sharing platters. 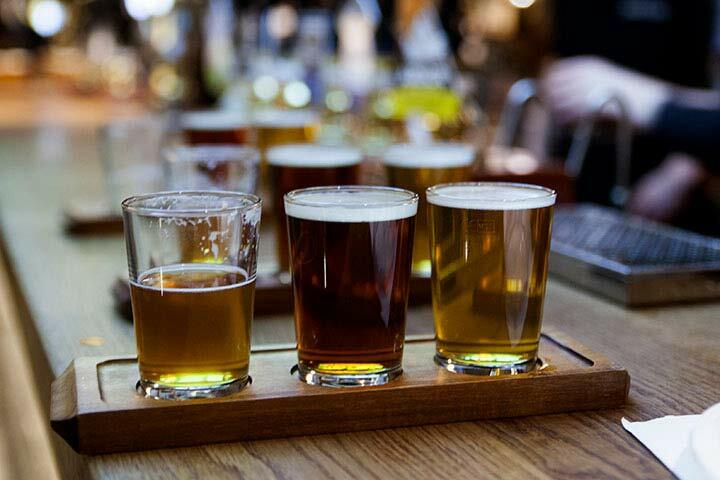 On some of the tours you will visit local breweries and meet the head brewer and learn about brewing process and what goes into making craft ales in a traditional brewery. On each tour you will learn about local craft beers, with your expert guide talking you through tasting notes and the production process of each beer. The BBQ and Brews tour starts at the newly opened Goose Island Brewpub Shoreditch then heads into the City of London walking past iconic landmarks such as the Gherkin. You’ll then walk to the award winning Pitt Cue BBQ restaurant which has its very own microbrewery inside. You’ll share some amazing BBQ and enjoy some beers from AplhaBeta Brewery. Not one for veggies, the menu includes: pigs heads scrumpet, beef on toast, bacon, ox tongue, blood cake, potato cake, grilled sourdough and smoked cods roe, Pork jowl and apple ketchup and also caramel ribs. You’ll then head down to BrewDog Tower Hill to finish off the day with a farewell drink - just a stone’s throw away from the Tower of London. You’ll visit 2 craft beer bars with a stop in the middle at Pitt Cue for some award winning BBQ sharing platters - 3 stop in total. This experience is available on selected Saturday dates, throughout the year. This experience will last approximately 3½ hours, starting at 5pm. 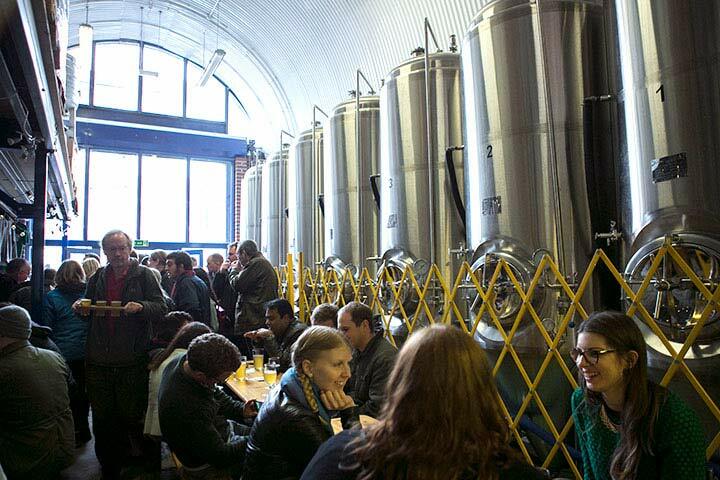 Experience a tour of the Bermondsey brewery taprooms on this beer tasting tour for two. You’ll visit 3 stops in total and learn about the different beer styles along with a bit of history on the breweries and local area from your experienced guide. Depending on the day of your visit, you'll sample a selection from: Anspach & Hobday, Brew by Numbers, Bottler Shop, Southwark Brewery, UBREW, Partizan Brewery, Bianca Road, Affinity, Spartan & Fourpure. This is a ‘tasting tour’ with the focus on the drinks however we sometimes get chance to head inside the brewery area, see the equipment and chat to the brewers if they are around. This experience is available on selected Thursday and Saturday dates, throughout the year. This experience will last 2-3 hours, starting at 6:30pm on Thursdays & 2pm on Saturdays. The Cheese, Meat and Beer Tour takes place every Saturday and guests get to sample quality British cheese and charcuterie products alongside different beers in a number of local breweries. Taste soft and hard cheeses, salami, chorizo and enjoy them with different beer styles such as pale ales, IPAs or stouts. It’s about quality British produce on this tour. Head onto Anspach and Hobday to try the cheeses with tasting paddles. Then sample British charcuterie with tastings at the Bottle Shop. Finish up inside Brew by Numbers with a beer to end the day. This experience will last approximately 3½ hours, starting at 11:30am. Enjoy a beer tasting tour of Birmingham city centre, walking around the best venues Birmingham has to offer and taste different styles from local and national breweries. Your knowledgeable guide will accompany you along the as you sample some of Birmingham’s best craft beer hang outs. The tour will involve at least 3 stop with tastings included and a knowledgeable guide who will take you around the area. You will meet inside The Wolf craft beer bar, depending on the day of your visit you’ll visit 3 venues from the following: Cherry Reds, Burning Soul Brewery, The Wolf, Purecraft Bar and Kitchen, Rock and Roll Brewery, Gunmakers Arms. You’ll sample a beer in each stop and learn a bit about the history of the venues, beers styles, and the local brewery scene. This experience will last approximately 2 hours, starting at 12pm. Visit several brewery taprooms and craft beer venues in a day for behind the scenes tours of the equipment and brewing techniques. You will have a tasting at each venue and a knowledgeable guide will take you around the area. You’ll start the day inside Rock and Roll Brewery where Mark and Lynn will take you on a tour of the equipment of this truly unique brewery. It's then onto the award winning Burning Soul Brewery to see Chris and Rich for another look at the equipment and more tastings of the beers brewed on site. You’ll then walk back into town and head to Purecraft Bar and Kitchen for a beer pairings masterclass with even more beer tastings to round off the day. This experience will last approximately 4½ hours, starting at 2pm. You will go on a guided beer tasting tour around 3 different Bristol brewery taprooms or craft beer venues. Depending on the day of your visit, you'll head to 3 of the following locations: Moor Brewery, Arbor Ales, Good Chemistry, Lost and Grounded, Wiper and True, Beer Emporium, Small Bar or The Barley Mow. You'll walk between the venues, taste a number of different beers on route and learn about how the breweries started out along the way. This experience will last approximately 2 hours, starting at 2pm. Hop aboard Bristol Brewery Tours’ private Bristol ferry for a unique afternoon of beer tastings and tours. Your afternoon will start with a craft beer tasting experience on board the fully licensed HMS HOPS with an introduction to the rapidly expanding Bristol microbrewery scene. Then onto Moor Brewery for a tour and tastings, ending at Beer Emporium for cheese and meat platters - plus more beer. This experience will last approximately 4¼ hours, starting at 11:45am. 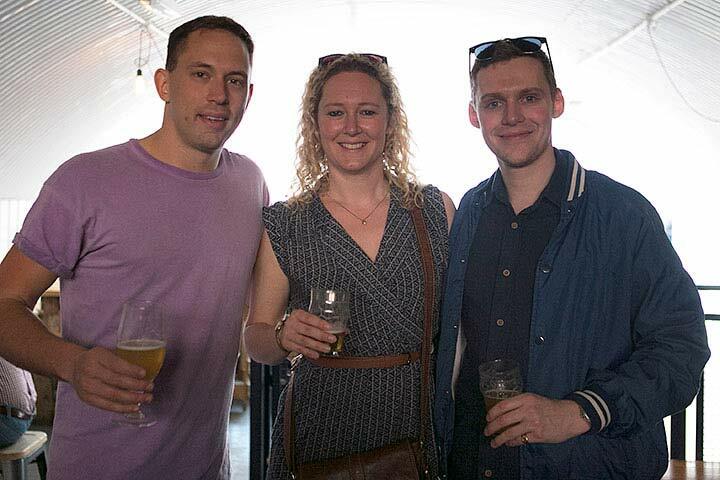 The East London Brewery Tour has been going since 2015 in various different formats due to an exciting an ever changing line up of East London Breweries. 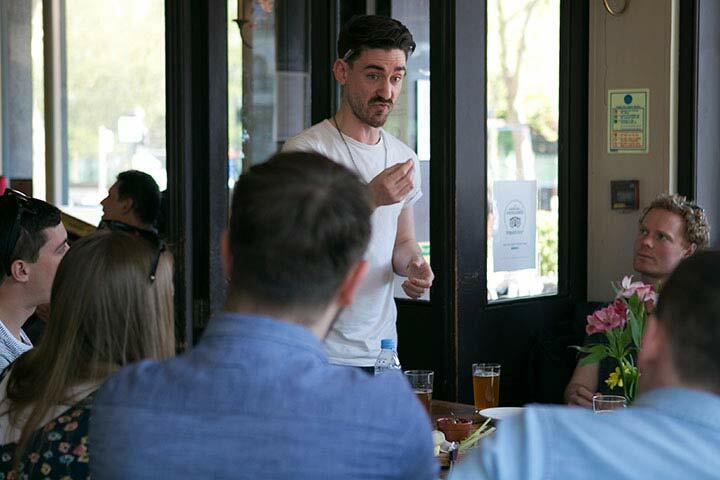 Join us on a guided tasting tour with cheese and meat platters along the way and finish up in Old Street Brewery, Bethnal Green. You’ll meet at the White Hart Brew pub where One Mile End started brewing in the cellar. 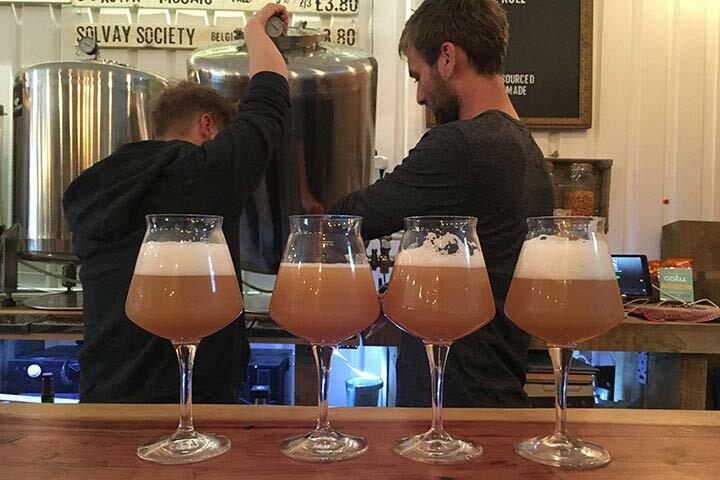 You’ll grab some tastings of their beer before walking to Mother Kelly's Taproom in Bethnal Green for a selection from their fantastic range of taps. You’ll also grab some cheese and meat platters to share. 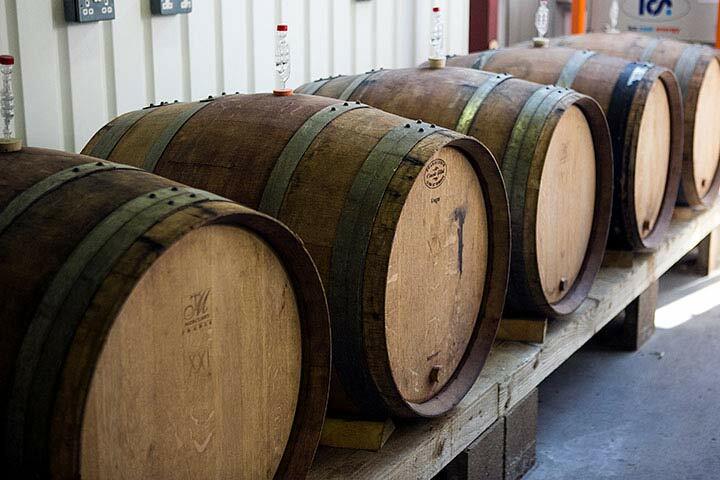 You’ll then head over to Old Street Brewery for a tour of this microbrewery's equipment and a talk on the brewing process plus some final tastings to end the day. This experience will last approximately 3½ hours. The Glasgow Beer Tasting Tour visits a number of fantastic city centre locations to sample the best of what the city has to offer. You will visit Shilling, Drygate and West Brewery Taprooms by your local beer guide for a tutored tasting at each venue. You will have a drink at each taproom with the guide talking you through each beer and its flavours. The Leeds Beer Tasting Tour visits a number of city centre locations to sample the best of what the city has to offer in terms of beer. 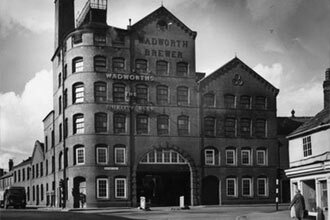 Visit 3 stops with and enjoy a drink in each with a knowledgeable guide to guide you through the styles and history of the breweries. Meet inside North Bar (the bar, not the brewery). Walk to North Brewery and tour of the equipment and enjoy tastings of beer. Onto Tapped for a tasting, then grab a table at Bundobust (Indian Street Food) and you'll have a tastings. Should you wish to purchase food you can do at your own cost – you’ll have time for light bites. Finish up inside Northern Monk with a tour, plus a goodbye tasting. This experience is available on 1 Saturday date per month, throughout the year. 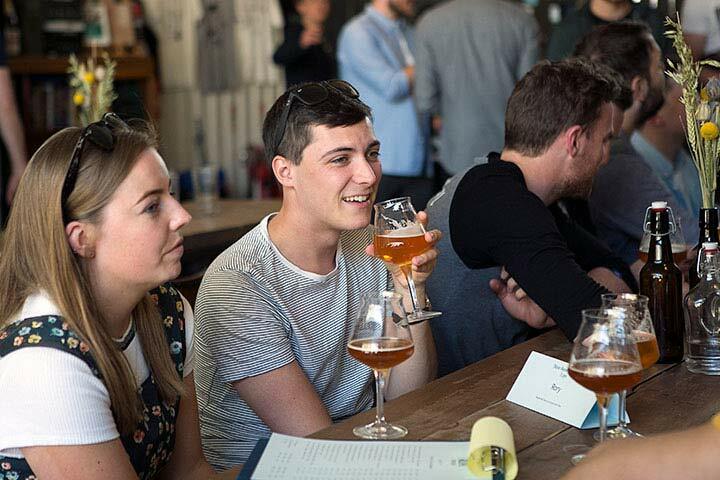 Explore 3 different Manchester taprooms for beer tastings with an expert guide. Depending on the day of your visit we'll head to 3 of the following locations: Beer Nouveau, Track, Alphabet, Unit101, Squawk, Marble, Runaway, Picadilly Tap. This experience will last approximately 2½ hours, starting at 12:30pm. Visit several brewery taprooms and craft beer venues in a day for behind the scenes tours of the equipment. The day starts in the Piccadilly Tap where your guide will meet you upstairs. You'll then head off on a walk up to Beer Nouveau Brewery in Ardwick. At Beer Nouveau, you'll take a look at the equipment with founder and brewer, Steve Dunkley. Steve will take you through the brewing process and you'll enjoy a number of tastings. You'll then head down to Alphabet Brewery for another look at the equipment plus more tastings of their amazing beers. Finish off the day at Track Brewery with a farewell drink and some goodbye chats with your guide and any new friends you may have made. The Newcastle Brewery Tour visits a number of city centre locations to sample the best beer on offer. 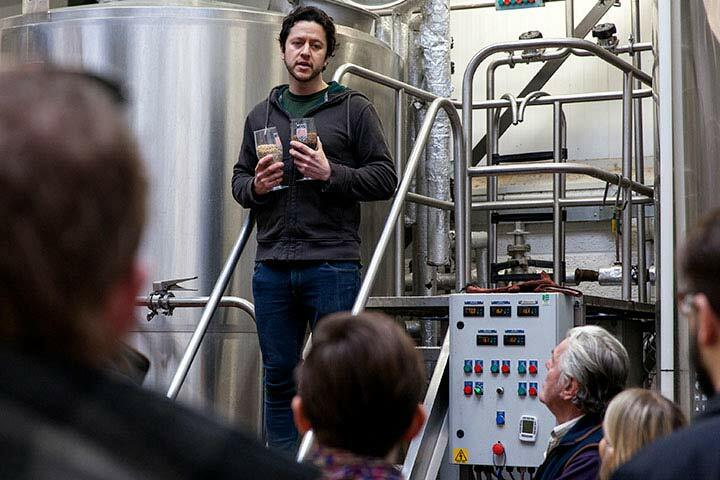 Visit 4 stops and enjoy a drink in each with a brewery tour at Wylam and a knowledgeable guide to take you around the Toon. 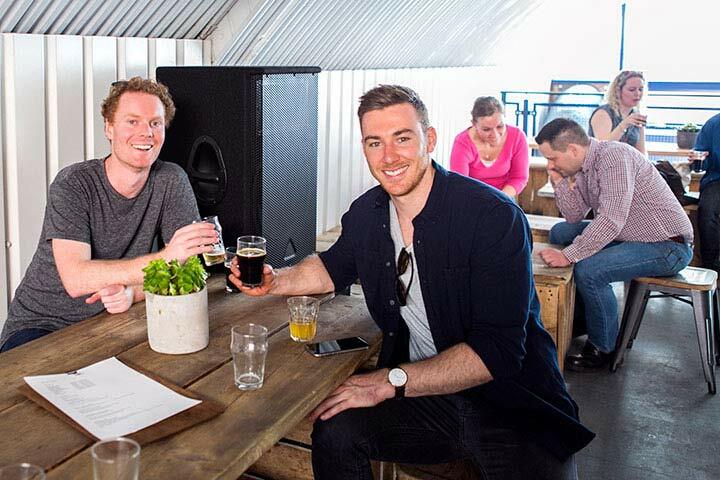 On the day, you and a friend will join a group of fellow beer enthusiasts in Central Newcastle, before being led by your knowledgeable guide through a walking tour of visiting the Mean Eyed Cat, Box Social and Errant. You will also partake in a brewery tour of the famous Wylams brewery. This experience will last approximately 3-4 hours. Spend an afternoon walking around the streets of East Dulwich and Peckham viewing some amazing pieces of street art from artists such as Conor Harrington, Stik, Remi Rough, System, Dscreet, Mear One, AP, ROA MAD C, Phlegm, Walter Kershaw and Mehdi Ghadyanloo. Then it’s onto Brick Brewery for a beer to finish off the day. This tour visits a number of city centre locations to sample the best beer on offer. Visit 4 stops and enjoy a drink in each. You knowledgeable guide will take you around Sheffield explaining each beer with its flavour notes. On the day, you and a friend will join a group of fellow beer enthusiasts in Sheffield, before being led by your knowledgeable guide through a walking tour of visiting the Sheffield tap, Rutland Arms, Devonshire Cat and finally the Bath Hotel. You’ll visit four stops in total and learn about the different beer styles along with a bit of history on the breweries and local area from your experienced guide. You’re knowledgeable tour guide will take you to visit four of York’s most well-known taphouses “The Bluebell”, “The house of trembling madness” , “Pivni” and “The Maltings” for a tasting with your guide talking you through each beer and its flavours.